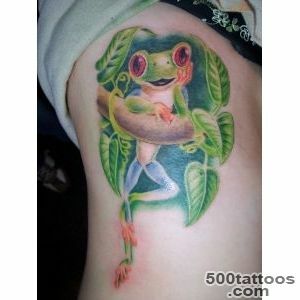 In recent years, widespread frog tattoo. 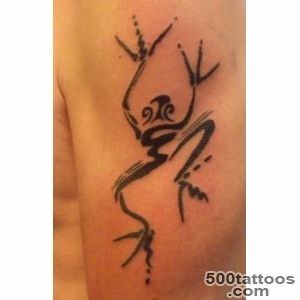 It has become equally popular among men and women. 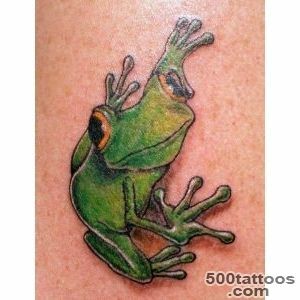 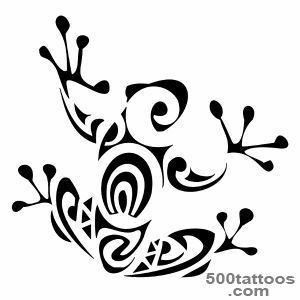 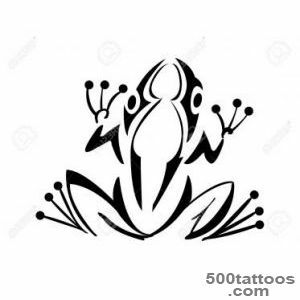 Frog in a realistic, Polynesian or cartoon style often adorn the hands and feet. 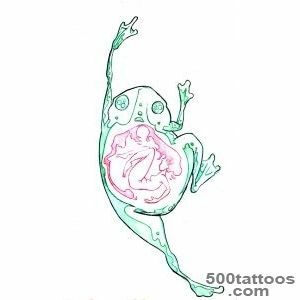 Less frog sketches can be seen embodied in the tattoo behind the ear, on the neck or on the coccyx. 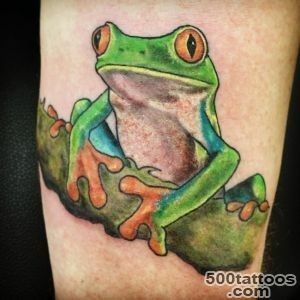 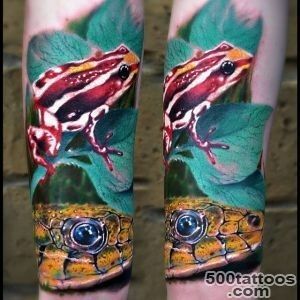 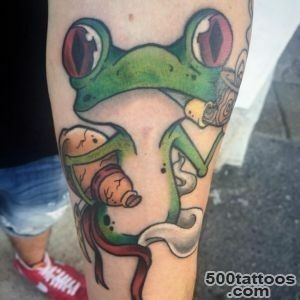 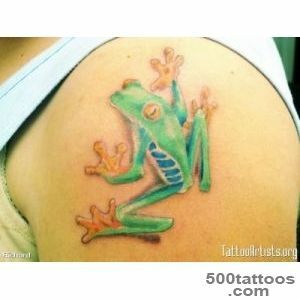 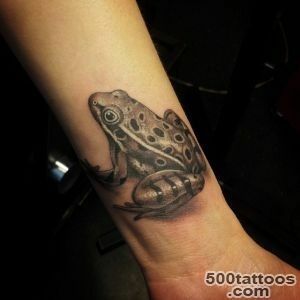 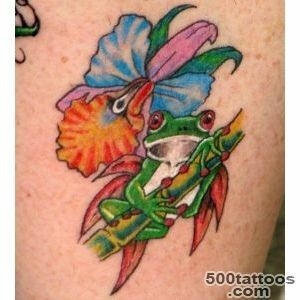 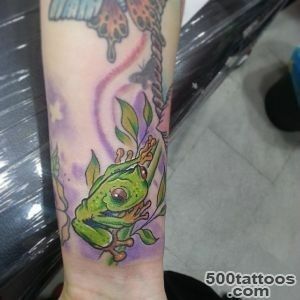 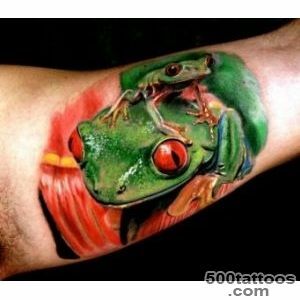 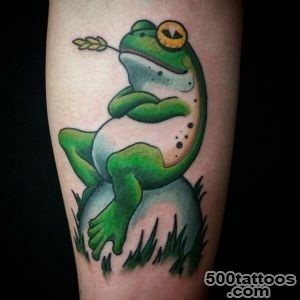 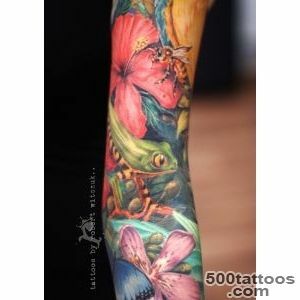 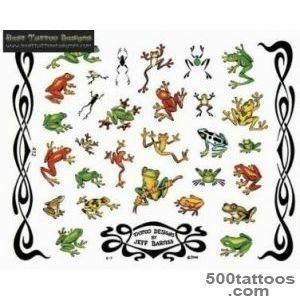 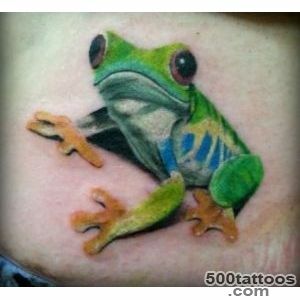 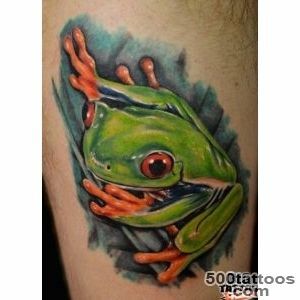 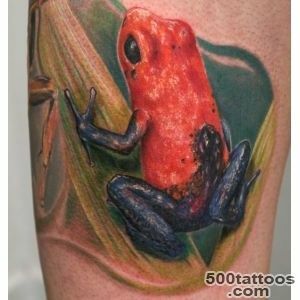 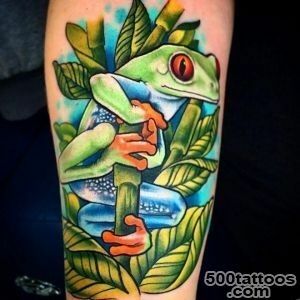 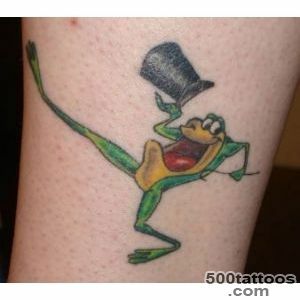 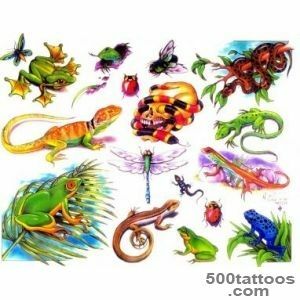 Spring, fertility,life - that is the basic meaning frog tattoos. 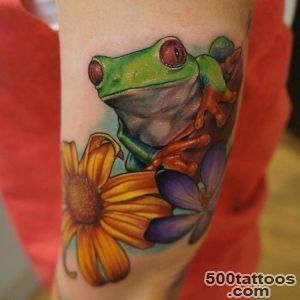 It symbolizes vitality, longevity. 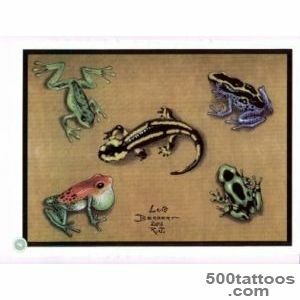 In Asian people, these creatures are associated also with luck and wealth. 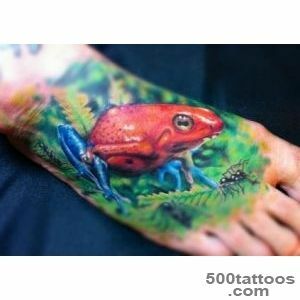 There are many variations of the image of amphibians, and each such tattoo is of added importance. 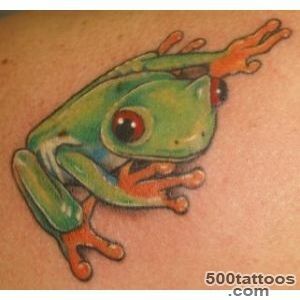 For example, the green frog - the symbol of new life,longevity and fertility. 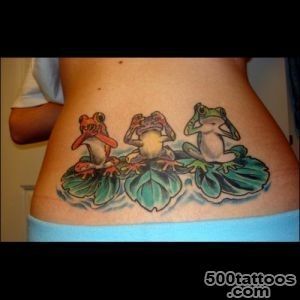 But the character of the Brothers Grimm fairy tale will tell others about how much its owner believes in miracles. 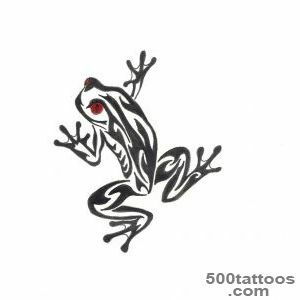 Tree frog characterizes the originality, creativity, lateral thinking and outlook. 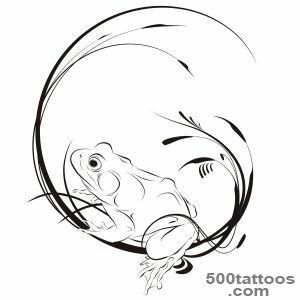 Sketch of tattoo frog inside the well, or in the bush characterizes zakompleksovannost. 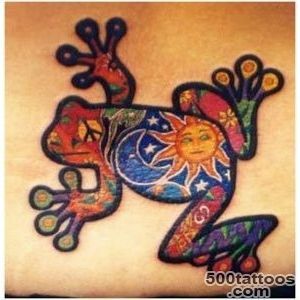 At the well,or climb - the path to enlightenment, awakening. 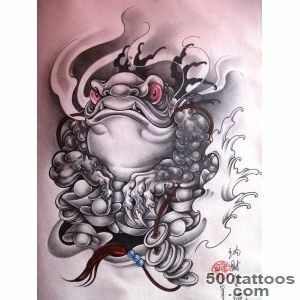 Funny cartoon frog bear the joy, playfulness and fun. 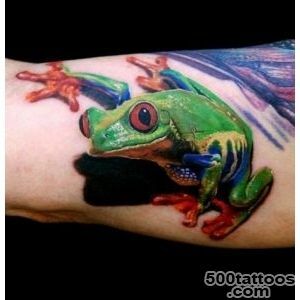 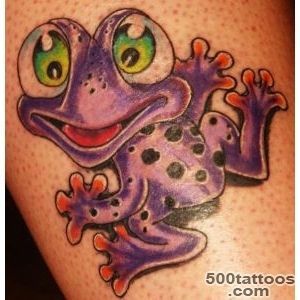 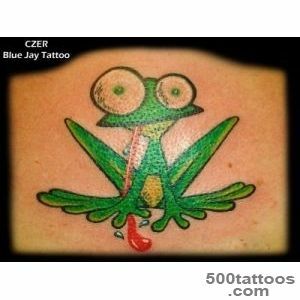 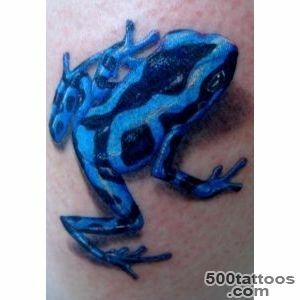 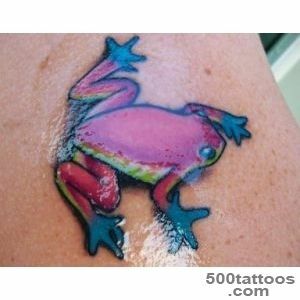 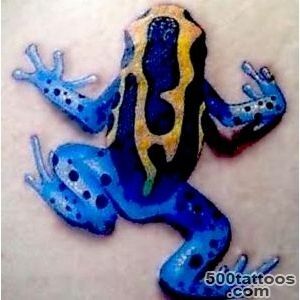 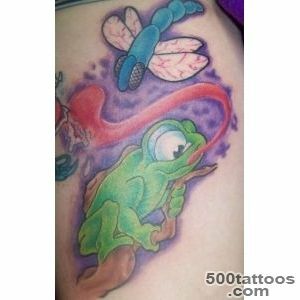 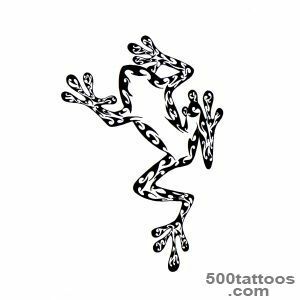 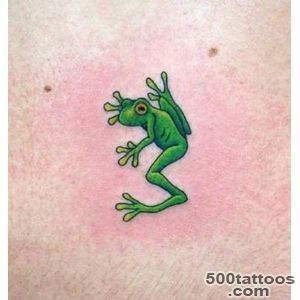 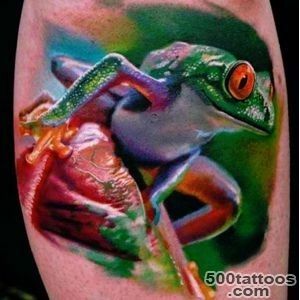 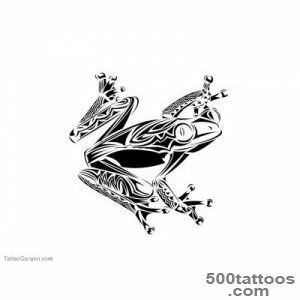 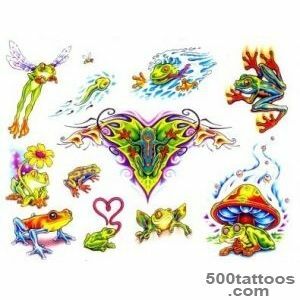 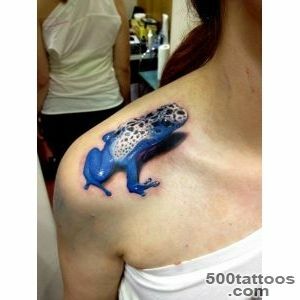 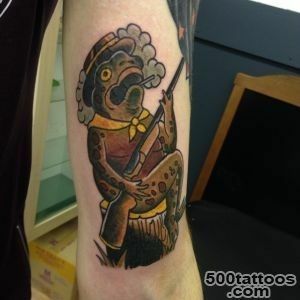 Tattoo Frog suits bright bold people with unusual inner world. 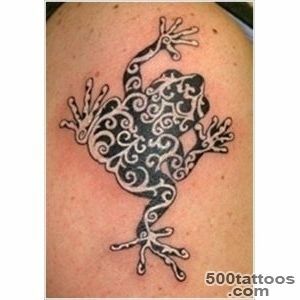 Those who are not afraid to stand out from the others and whose approach to life can be called creative.